The ultimate antioxidant; boosts memory, metabolism, ATP and provides significant anti-aging effects. The worlds fist stabilized DHLA (superior to alpha lipoic acid) in a nanized concentrate with resveratrol. 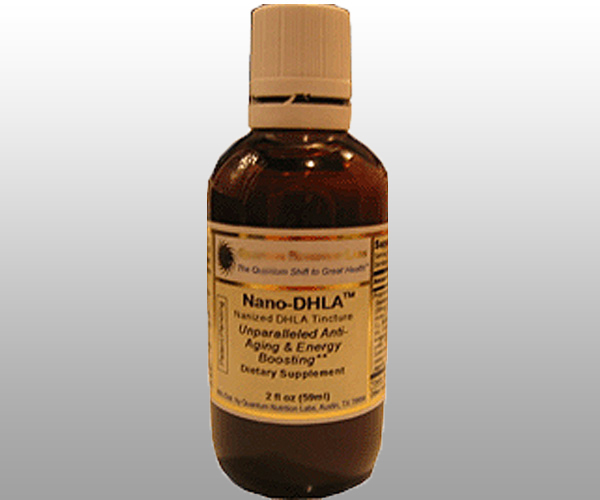 Highly bio-available “nanized” Quantum Quality Stabilized DHLA (80mg), Resveratrol (5 mg) (Polygonum cusp.) Turmeric (rhizome) (Curcuma I. ), Bifidobacterium Species (breve ss. breve, infantis ss. infantis, longum), Enterococcus Species (faecalis TH10, faecium), Lactobacillus Species (acidophilus, bulgaricus, casei ss. casei, fermentum, helveticus ss. jagurti, plantarum), Streptococcus thermophilus. Other Ingredients: Pure water, org. alcohol. Recommended Use: Adults or children (age 4 and up): Take ½ teaspoon mixed in ½ cup purified water daily. Also, very useful in pain syndromes.